Everyone has a dream of their perfect house - in the heart of the countryside, or perhaps a stately residence in the middle of a wonderful city? For Kate Hutchinson, the move to Suffolk from the tiny, noisy London terrace she shares with her husband Simon and their two young children was almost enough to make her dreams come true. Space, peace, a measured, rural pace of life have a far greater pull for Kate than the constantly overflowing in-tray on her desk at work. Moving in with her mother-in-law must surely be only a temporary measure before the estate agent's details of the perfect house fall through the letterbox. 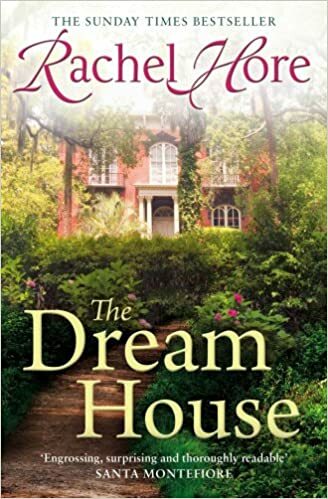 But when Kate, out walking one evening, stumbles upon the house of her dreams, a beautiful place, full of memories, it is tantalizingly out of her reach. Its owner is the frail elderly Agnes, whose story - as it unravels - echoes so much of Kate's own. And Kate comes to realize how uncertain and unsettling even a life built on dreams can be - wherever you are, at whatever time you are living and whoever you are with.